Dr. Amy Gearin is a Utah native. She earned her Doctor of Dental Medicine degree at the University of Louisville, School of Dentistry in Louisville, Kentucky in 2005. 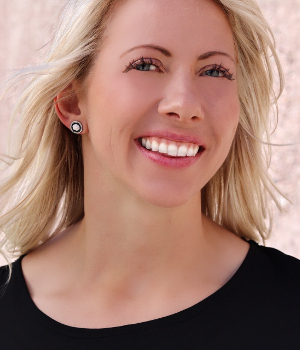 Upon graduating from dental school, she moved to Las Vegas, Nevada to work as an associate in an established private dental practice. After several years there, Dr. Gearin decided to make the move to open her own practice. She is committed to furthering her education in dentistry, and she constantly exceeds the minimum number of continuing education hours required every year. Dr. Gearin has received additional training in cosmetic dentistry, occlusion, dental implant placement and restoration, full-arch dental reconstruction, snoring and sleep apnea treatment, TMJ disorder treatment, and more. Her greatest goal is to help patients achieve healthy, disease-free smiles that they are happy with. Dr. Gearin works to promote whole health awareness and its relationship to oral health. Dr. Gearin’s husband, Grayson, was born and raised here in Las Vegas. He is a high school PE/Health and Crossfit Coach with the Clark County School District. Dr. Gearin and her husband enjoy being active in the outdoors, and she is an avid crossfitter and owns a women’s fitness franchise focused on exercise and nutrition. Dr. Gearin also enjoys family time, shopping, and traveling.